One of the major questions of cultural psychology is how to take diversity seriously while acknowledging our shared humanity. This collection, edited by Julia L. Cassaniti and Usha Menon, brings together leading scholars in the field to reconsider that question and explore the complex mechanisms that connect culture and the human mind. 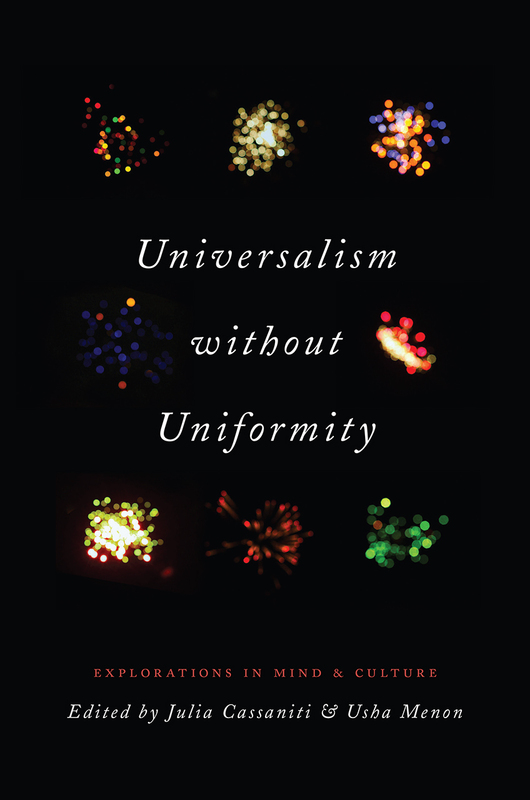 The contributors to Universalism without Uniformity offer tools for bridging silos that have historically separated anthropology’s attention to culture and psychology’s interest in universal mental processes. Throughout, they seek to answer intricate yet fundamental questions about why we are motivated to find meaning in everything around us and, in turn, how we constitute the cultural worlds we inhabit through our intentional involvement in them. Laying bare entrenched disciplinary blind spots, this book offers a trove of insights on issues such as morality, emotional functioning, and conceptions of the self across cultures. Filled with impeccable empirical research coupled with broadly applicable theoretical reflections on taking psychological diversity seriously, Universalism without Uniformity breaks new ground in the study of mind and culture.